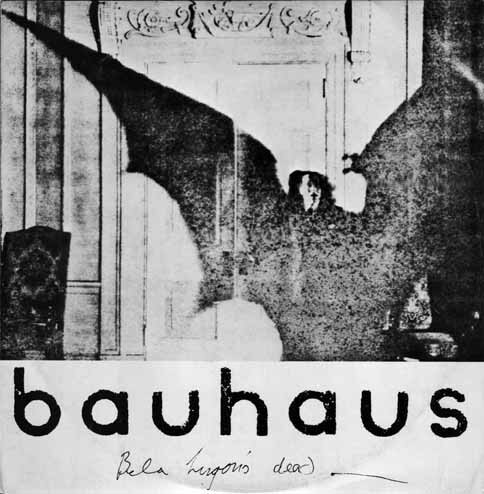 Has anybody else noticed that the bassline on Burial’s glorious dubstep anthem Archangel sounds remarkably like that on Bauhaus’s 1979 proto-goth classic Bela Lugosi’s Dead? The similarity doesn’t stop with the bassline either, the Bauhaus track has a very dubby feel, lots of space and reverb. Lets’s take this flight of fancy a step further. Was the real origin of dubstep not South London in the last few years, but Northampton (home of Bauhaus) in the late 1970s? And what of Burial’s famed anonymity – could this be a ruse to disguise the fact that he is none other than Bauhaus’s Pete Murphy or maybe Daniel Ash? Another point, if Burial’s Untrue is to dubstep what Goldie’s Timeless was to drum’n’bass in 1995, the crossover album that gets reviewed in the broadsheets etc., isn’t it interesting that both feature a key track referencing celestial beings – Archangel in the first case, Angel in the latter? Is there something about this ethereal aesthetic that smooths the way for acceptance more readily than say urban Londonism? A question rather than a criticism, I love both these tracks. Mind you I also love Bela Lugosi's Dead. Yeah not suggesting the name is critical, just interested in the parallels - Burial is not representative of dubstep but nor was Goldie of d'n'b, both moving beyond genre limits to paint on a bigger canvas, both also perhaps moving in a more humanistic direction with that warmer style you mention.